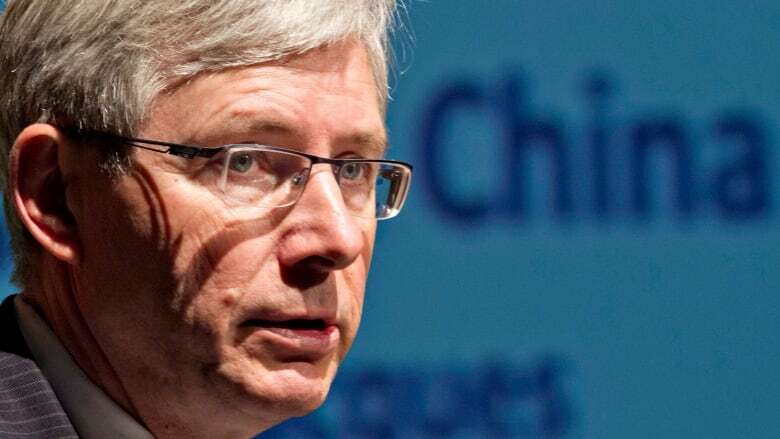 As Beijing continues to ramp up diplomatic pressure on Canada through its decision to stop importing Canadian canola seed, one former ambassador to China says it's time for Canada to "remove our white gloves" and retaliate against the Asian superpower. "One of the first measures that I would take would be to expel all Chinese athletes that are training in Canada in preparation for the Winter Olympics of Beijing that are going to take place in 2022," Guy Saint-Jacques told host Vassy Kapelos in an interview today with CBC News Network's Power & Politics. Earlier this month, Chinese customs authorities revoked a sales licence held by a major Canadian canola distributor, saying the move was related to "dangerous pests" in the crop, such as fungi. The distributor, Richardson International, has strongly denied the allegation. Against a backdrop of escalating trade tensions with China, many observers say that China's move to target a major Canadian export was an attempt to send a political message to Canada. Canadians Michael Kovrig and Michael Spavor were arrested in China in December after Canadian officials detained technology giant Huawei's chief financial officer, Meng Wanzhou, in Vancouver on an extradition request from the U.S. She was later granted bail and is now awaiting court proceedings. Kovrig and Spavor, meanwhile, have now passed 100 days in captivity. Earlier this month, the ruling Communist Party's Central Political and Legal Affairs Commission accused Kovrig of stealing state secrets passed on to him by Spavor. Saint-Jacques said that China's decision to renege on a canola agreement — which would have seen Canadian imports continue to flow into that country until the spring of next year — reveals more about Chinese policy than it does about Canadian canola. "It shows once again that there's no coincidence in China. It's part of their playbook to increase the pressure on the Canadian government to free Ms. Meng Wanzhou." Saint-Jacques said that the breakdown in relations between the two countries, and China's recent actions, now merit a stronger response from Canada. Aside from kicking out Chinese athletes training for the Beijing Olympics, Saint-Jacques said there are other measures that can be taken. "First we have to speak with the Americans," he said. "They have put us in this mess and now its a problem that is going to translate into billions of dollars of losses for Canadian farmers, Canadian companies. "We have to impress on the Americans that they have to help us as much as possible. They have to put pressure on China to free Michael Kovrig and Michael Spavor and to stop taking actions." He said Canada should be trying to build a coalition of allies in Asia that can apply real pressure on China. "Canada should go right away to the World Trade Organization, WTO, and file a case against China," he said. "This will take maybe years before it's resolved but it's serious enough that this is what we have to do." Saint-Jacques also said Canada could restrict the movements of Chinese diplomats in Canada — or even limit their access to people in the federal government. Part of the problem, he said, is that Canada does not have much leverage with China. One way to get around that, he added, would be for Canada to go to the UN Security Council and make a case that China is acting in bad faith in its diplomatic relationship with Ottawa. "We cannot tolerate what is happening," he said. "So far the strategy has been the right one, to keep a low profile to try to find ways to convince the Chinese to dialogue with us. But I think it's clear that we need to ramp up the pressure." Saskatchewan Premier Scott Moe also seems to be calling for a more aggressive approach. Alarmed by the canola announcement, Moe issued a statement earlier today calling on the Trudeau Liberals to "elevate their engagement to a diplomatic level to rectify this situation as soon as possible." "I hear his message and I can tell you that we are working on different fronts." she said. "Once again we have to find a scientific base solution" to respond to Chinese claims that Canadian canola is tainted.